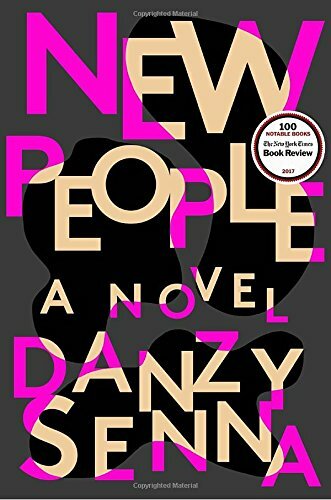 Like her previous novels, Danzy Senna’s New People, released last year, explores race and relationships in 21st-century America. The novel centers on Maria, who is getting ready to marry her college sweetheart, Khalil, but is fixated on someone else—a poet who seemingly doesn’t know she exists. Both Maria and Khalil are mixed race, and are taking part in a documentary about the “new people,” or those who are paving the way for a different and better future at the end of the 20th century. I was interested in New People because I’m trying to read more “diverse” fiction. Especially as a white person, I’m aiming to read more books by and about people of color. Race is definitely at the heart of Senna’s work here. Maria is mixed race, and was adopted by a black woman who, it appears, raised Maria with the hope that she would someday be like her. Maria is obsessed with a black poet. Maria looks white but feels black. Before dating Khalil, she dates a white man whom she is ambivalent about at best. It’s clear that identity and belonging are slippery for Maria, and Senna uses this universal thread to explore the particulars of mixed-race identity. Don’t hate white people. They can’t help it. They have a learning disability. They need your compassion. They need accommodations. They are like preschoolers, their understanding of race is so basic. They can’t be faulted for being uncomfortable with somebody who has what amounts to a graduate degree in race, that is, us. It’s not fair for preschoolers to be placed in the same classroom with graduate students and be forced to compete. The tension in Maria’s choices in love, her quirks, her fixations, and the feelings she constantly grapples with regarding her race, are what is fraught and fabulous here, and it is where Senna excels most. Maria is, arguably, the most interesting thing about New People. The other characters seem to exist for her angst, and don’t add much beyond that. Their one-dimensionality would be a bigger problem if the book were longer, but for such a slim read, Maria is intriguing enough to carry the pages. Lest you think New People takes itself too seriously, it doesn’t. It’s certainly dark, but comically so. Because of her obsession with the poet, Maria finds herself in several uncomfortable social situations. It’s easy to feel empathy and discomfort simultaneously, and to laugh unexpectedly, which is part of Senna’s writing charm. New People is nothing if not a searing social commentary. And it’s a perspective which is underrepresented, and which we should all be open to reading. Lauren is a writer, a volunteer, an observer, and an idealist who believes we all have something beautiful to bring to the world.